It's bathtime! Our new Super Soft and Plush Bathrobes are made from Plush Micro-fibre, trimmed with a soft flannel cotton print. 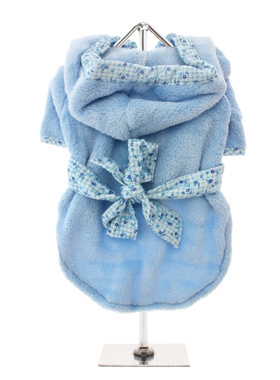 Great for wrapping up in after bathtime to relax and dry out. The bathrobe fastens with velcro for a snug fit.